Back in 2005 google introduced a program called google earth. You can read all about it here. 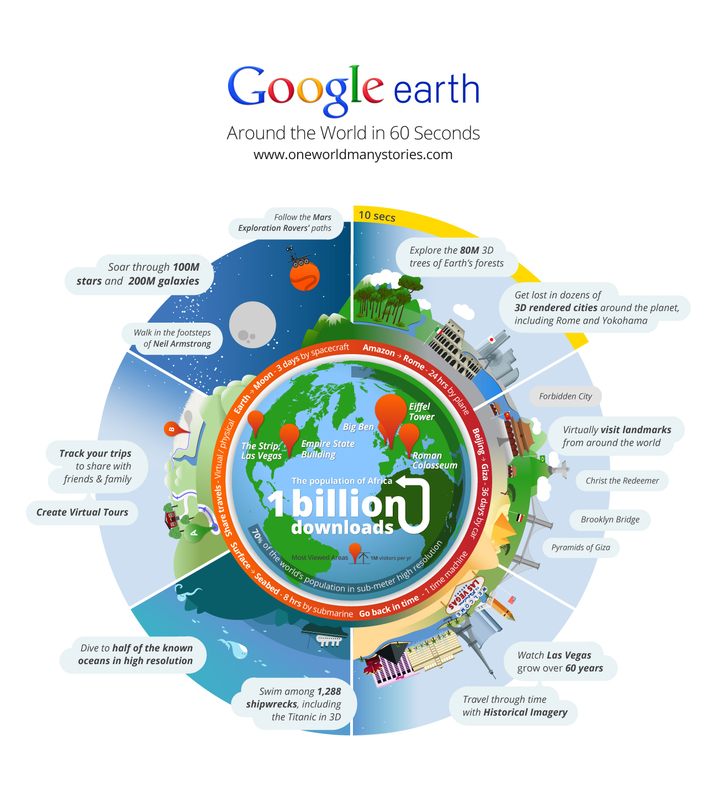 Today google are celebrating the one billionth download of google earth. 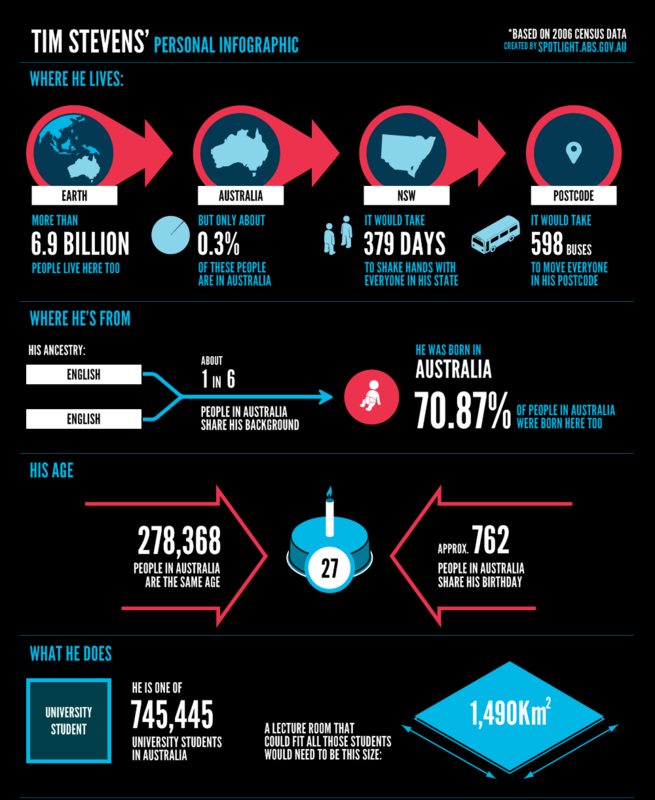 To celebrate they made this infographic. Recently Australia’s biggest telecommunications company, Telstra, undertook a major rebranding exercise. I really like what they have come up with. Lots of colour and liveliness. Here is one of their previous ad campaigns, and following is their new one. I like the new one best. Angry Birds: An infographic of addiction. Like like to play the occasional video game. I mostly play FIFA and F1, anything else and I just get bored. That is until Angry Birds came along. I own all three of the Angry Birds games on my iPhone, and I think they are quite enjoyable. I am in no way addicted to playing it, but I know others who probably are. AYTM have recently done a study into the addiction of Angry Birds and they put together a handy infographic to show their results to people like me who like pictures. You can find the original post here. Recently I’ve developed a real interest in space exploration. This is mostly sue to the recent retiring of the space shuttle program, and also the future plans for sending robots/satellites to places like Mars and Jupiter. My recent interest in all things space has made me remember times when I was a kid, when I would just be struck my the sheer enormity of space, and how my mind would imagine things about that the other planets would be like. This week I stumbled upon a video that encapsulates perfectly the imagination of a child. His name is John, and this is what he thinks about space. Enjoy. Space travel According to John from Jamie Stone on Vimeo. Governments are not known for their cool websites. In fact every single one I have ever had the privilege of visiting has made me consider gouging my eyes out. This changed last night when I found a cool website from the Australian Bureau of Statistics to promote this years census. Basically you put a minimal amount of info into a nice looking interface, and it explains some stats relating to you. It also creates a nice info-graphic so you can show your mum. Mine is below. You can do it for yourself here. I love finding good videos in the web. I also love it when I find a good video that is about christianity, and even better when that video is about Jesus. Dan Stevers continues to deliver great videos about both of these things. Check this one out. It is called ‘Scars’. Scars from DanStevers.com on Vimeo. I love stuff apple make. My MacBook and iPhone have made my communication much easier that it would of been without them. It also means that I’m on twitter and facebook more than I should. I love apple because they make software that is really easy to use, and they also make hardware that looks quite nice. Hungry Beast recently did a Beast File on apple, and I found it to be interesting, so I thought I would share it with you. Enjoy.